Philosophy: Plug into the Creative Spirit and Energy of the Universe and Let it Happen! My natural curiosity about the world around me and how it works provides much food for thought and creativity that is only limited by my imagination. My passion is to investigate and dabble in every type of painting, quilting, sewing, embroidery, handcraft, and needle art that peaks my curiosity. If it intrigues me, I’ll try it. My delight is to use this wealth of techniques and processes to create my Curiosities. Portrait of the fishing vessel “Wayward Son” – Acrylic on a Wooden Toy Box. For the last 20 years I have studied and explored the history and painting techniques of many cultures. Using this information and updated techniques I have been able to design and paint my own version of Folk Art/Decorative Painting on all types of surfaces using acrylic and oil paints. 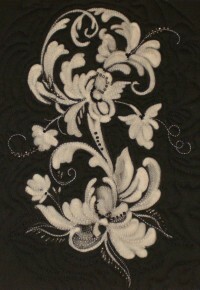 “Rosemaling“ Control Discharge on Black Cotton Sateen – Machine Quilted and Hand Beaded. My fiber and textile experience began at a very young age when I received a toy sewing machine for Christmas and my beloved Nana taught me how to crochet and embroider. I didn’t start quilting until my children were grown but the tactile nature of fiber and fabric has always had a special appeal to me. ….. Just For Fun ….. 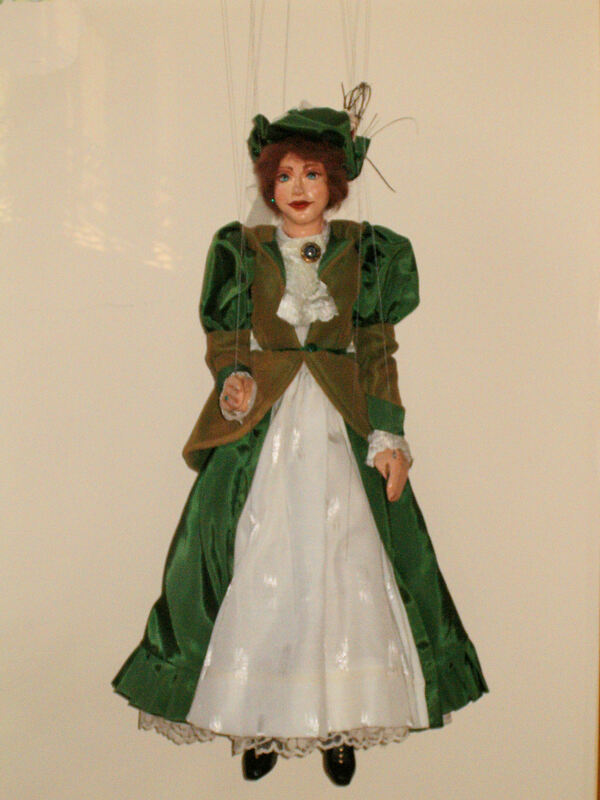 Kinetic Collection – Art in Motion “Lucia” – Hand made String Marionette. The Puppets and Pop-Up Art are hand crafted to move and delight. Unlike most, my Unique Whimsical Textile Pop-Up Art is entirely made of textiles. This medium gives them durability and the opportunity to be used as home accessories. My puppet collection includes my own hand made puppets and some collectibles that I fell in love with.